Malabar Gold & Diamonds, one among the largest jewellery retailers globally with a strong retail network of 250 outlets spread across 10 countries has launched its new store in KSA. 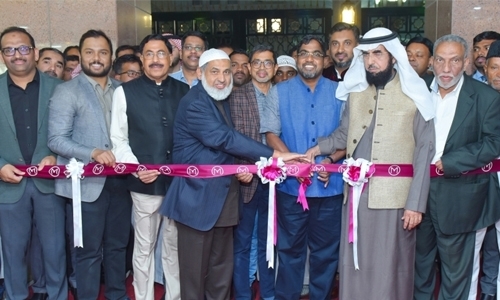 The 14th Showroom in Saudi Arabia was inaugurated on 07th February by MP Ahammed, Chairman, Malabar Group in the holy city of Madina at Al Munawara. The new showroom is located in the holy shrine of Al Masjid Al Nabawi, near Gate #17. This is the 14th showroom of Malabar Gold & Diamonds in KSA. Malabar Gold & Diamonds also opened a new outlet in Jeddah, Al Balad on 6th Feb. Both the outlets unveil a significantly large collection of traditional as well as contemporary designer jewellery. The new showrooms showcase an exquisite collection of gold jewellery in 18K, 22K and 24K alongside Diamond, Uncut diamond and precious gem jewellery handpicked for the jewellery lovers in KSA. To celebrate the launch of 2 new stores, the company has announced some inaugural offers. Customers who make diamond jewellery purchase for every SAR 3,000 will get 1 gm gold coin absolutely free. Not only that, customers can avail Zero Deduction on 22K (GCC) gold jewellery exchange as well. These inaugural offers are only valid at the Jeddah Al Balad stores & Madina Munawara store until 23 February 2019 only.